The number '7' is my favourite number and I told myself that I would hold a giveaway when I reached 170 GFC followers and 107 Bloglovin' followers (I'm odd that way), and I did! So I thought I'd purchase a few things that I like and give them away to a reader as my little way of saying 'thank you' for your support! How cute is that Korean cat shaped lipstick packaging? Don't worry, I didn't open any of the product packaging- that cat shaped lipstick is one of my own lipsticks. Hee! The MUA eyeshadow palette is meant to be a dupe of a certain famous eyeshadow palette (*cough*Naked 2 eyeshadow palette*cough*) and its pigmentation is pretty good too! The Sleek blush in Mirrored Pink is a limited edition blush from last year's Aqua collection which I purchased and saved specifically for this giveaway because I thought it was such a beautiful and versatile shade! I also bought one for myself - you can check out my "first impressions" review of it HERE to see how the colour looks like. Okay, so enough rambling, how do you stand a chance to win? EASY! 1. Follow the instructions in the Rafflecopter box below. 5. See what else is written in the Rafflecopter box to find out how to gain extra entries! a Rafflecopter giveaway Please remember to click 'I COMMENTED' in the Rafflecopter box after you have left a comment in the comments box below because that counts as two entries! 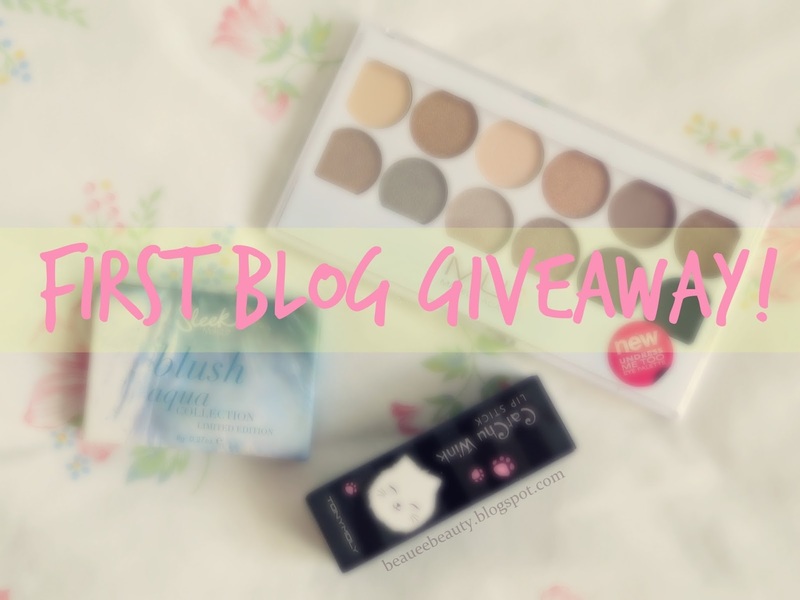 This giveaway is open internationally until 12am BST 10 June 2014!! So I hope you have fun and all the best!! Congrats to your blog. I find it very interesting and helpful. Since I am new with the skin care and make up things, I hope you'll review and give tips for beginner like me in the future. Hi, would love to read more about make-up and beauty products on your lovely blog. Cheers! Hi Esther, thanks for the comment! Will write more about makeup and beauty products for sure. Fingers crossed! I like your reviews and I hope to see more) maybe you could also add some tips or simple tutorials on the use of makeup products, and on your skincare. I would love to see more reviews and hauls! Will do Karin! Thanks for the comment and all the best! I would like to see more on shopping haul. Thanks Christabel- I try to cover both ends! Will keep your favourites in mind. Fingers crossed! This is absolutely perfect! I'd love to win this! i would like to see some more makeup tutorials and beauty giveaways! Will try Courtney! And will see what I can do about giveaways! Hehe! All the best! Hauls are lovely! I like seeing what people buy too! All the best! Of course Katie! Thanks for the comment and all the best! Great giveaway! Love your reviews. I love reading reviews on products! Honest reviews too :)! I like reviews too! I do my best to be honest in my reviews so hopefully you like! All the best! I love reading about hauls. That aside, I also love reading about low cost dupes of high end products (like Iconic 3 being a dupe of Naked 3). 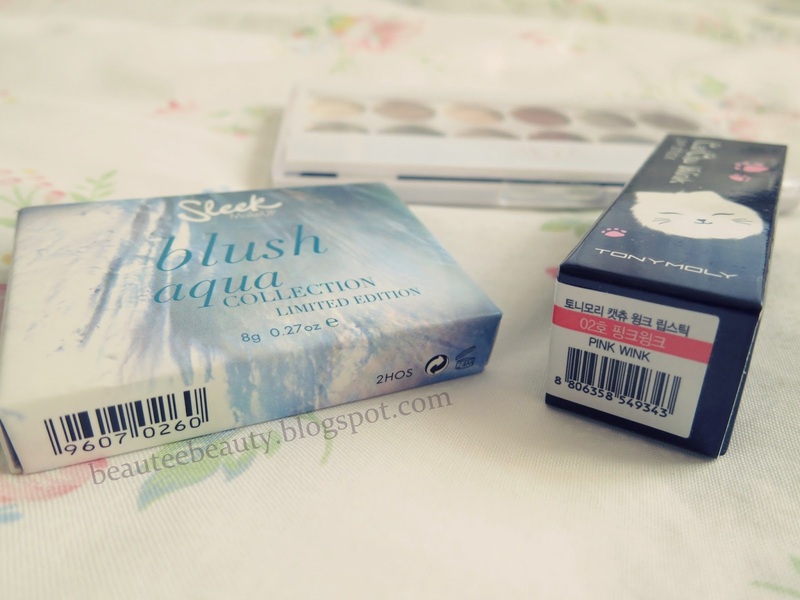 I like haul and dupe posts too! Thanks for the comment and fingers crossed! Sure Miarsi! All the best! Love beauty and makeup hauls and new product reviews. Hauls and reviews are the best! Fingers crossed Hun! Sure Gillian! Thanks for the comment and fingers crossed! I am looking forward to more Korean skincare product reviews! I love tutorials, hauls and product reviews. : ) Congratulations on hitting such a fantastic milestone. I really like tutorial posts!